The two day conference at Truro will feature several tracks, ranging from overview classes for churches wanting to put on an Alpha program to more hands on training for churches that have been running Alpha programs for some time and want to take the course to the next level. Additional training will be offered for pastors, and a strategy track will be offered for those wanting to “supercharge” their Alpha program. At the conclusion of the training conference, Tory Baucum will be formally installed as rector of Truro Church. He is one of the many leaders of Alpha and is currently the Alpha International Associate Missioner. Featured Event: On Friday, October 26 at 6:30pm ET Bishop Sandy Millar of London will be speaking in Truro’s main sanctuary. This session is free and open to all. RSVP: For members of the media who wish to attend, please contact Kelly Oliver (ext. 140) or Megan Franko (ext. 148) at 703-683-5004. For more information on Alpha, visit http://alphana.org/. Anglican District of Virginia (www.anglicandistrictofvirginia.org) members are in full communion with constituent members of the Anglican Communion through its affiliation with CANA, a missionary branch of the Church of Nigeria. ADV members are a part of the worldwide Anglican Communion, a community of 77 million people. ADV is dedicated to fulfilling Christ’s Great Commission to make disciples while actively serving in three main capacities: International Ministries, Evangelism, and Strengthening Families and Community. ADV is currently comprised of 20 member congregations, 16 of which are under the ecclesiastical authority of the Bishop of CANA, The Rt. Rev’d Martyn Minns, and four of which are ecclesiastical members under direct authority of other Anglican Archbishops, strongly supported by ADV members. For media inquires, to attend the event or for more information, contact Kelly Oliver (ext. 140) or Megan Franko (ext. 148) at (703) 683-5004. This entry was posted in ADV, Anglican News, Archbishop of Canterbury. Bookmark the permalink. 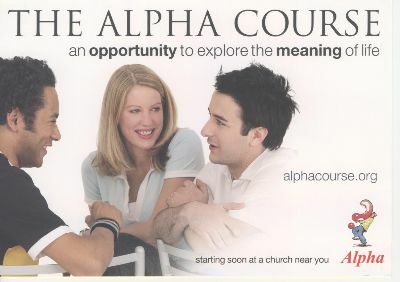 We are taking the Alpha course and will be there Friday night. Will you? Grandma and I will be there! ooo, ooo oooo! I may finally get to meet you!!!! !